This post was inspired by CIA MEMO RE: POKÉMON GO on McSweeney’s. It’s a pointed and well-written commentary, but why make the CIA the scapegoat? They do foreign intelligence and obsessively avoid domestic stuff. Why not the FBI…or better yet, DHS? I mean, who has the most to gain by distracting Americans from actual news? I’d like to take this opportunity to congratulate everyone on the extremely successful rollout of Operation Pokémon GOP. I know we had to hustle to speed up this launch by several weeks to get ahead of our National Convention in Cleveland but it seems to have paid off. More people have downloaded this game in the last 72 hours than have voted in every Democratic primary combined. It seemed crazy when Newt floated this idea last year, between Mass Shootings #188 and #189: could “augmented reality” really distract people from regular reality? Would Americans play a game that doesn’t involve guns? We took a bold gamble, and it paid off! Thank you for giving the American public something to mindlessly engage with after two black men were shot in cold blood. We also lost 5 brave members of the Dallas police force within the same three days, and we almost delayed the launch to avoid trivializing the murders of our men in blue. Our Strategic Plans committee prevailed, pointing out that for a fraught 48 hours, it seemed like Americans would have to engage with the news. As past history evidences, that’s not great for us. Luckily, we can leave that discussion to the talking heads; good, ordinary Americans can find solace in locating Jigglypuffs in public spaces. In an unprecedented threat, it seemed even social media and blog comments were getting away from us: a huge number of users were seriously grappling with police brutality and racial politics. Were it not for the power of ’90s nostalgia and dynamic animation, this may have been a turning point for these platforms. I am incredibly moved to see Twitter repopulated with hilarious photos of Pokémon in inopportune places, rather than reactions to our Presidential candidate’s tweets. Increased number of PokéStops in public areas of Cleveland; we believe these will help disrupt public protests and visible civil disobedience. Hold off on the in-app purchases; let’s keep the price point at zero so we can reach the maximum number of Americans who stand to engage substantially with current events. Following the Convention, we’ve promised the NRA we will launch their paid DLC, which allows players to shoot opposing Pokemon and adds Team Liberty. We have been encouraged to create new Pokémon based on our candidate’s family and carrying the Trump brand, and tacitly threatened with Twitter censure if we don’t. It’s not worth risking the party base loss, so we’re going to go ahead and knock this out – but nothing above a Pokédex of 12 and limited time only. Also CharMelania and Ivankasaur must be appealing like Skitty or Chincinno. Donald was fine with Yungoose for himself but won’t accept that for his women. But those are minor tweaks at best. This really was one for the books, boys. I’d put it in the crisis distraction hall of fame, alongside Malaysia Airlines 370, Edward Snowden, and Benghazi. A world filled with adorable monsters is so vastly preferable to one filled with violent illustrations of structural injustice. Let’s not rest on our laurels, however. The Minions AR game has a hard launch of November 7, one day before the presidential election. Universal Pictures expects a working prototype by summer’s end. 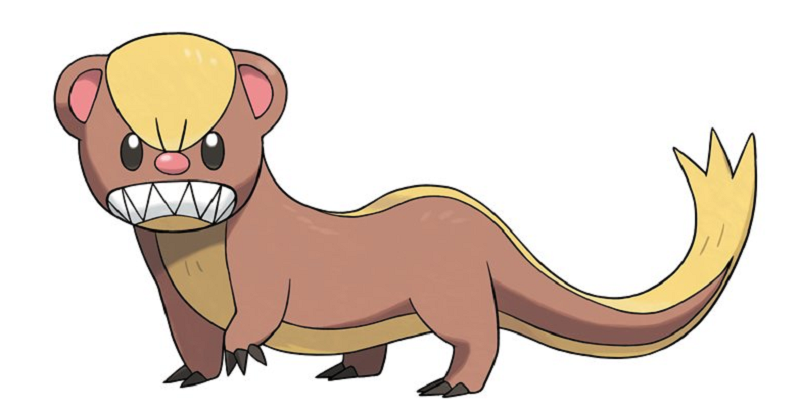 Is it a tall order to surpass the inane animated cuteness of Pokémon GOP? Of course. But we’ve convinced the American public to engage with far more ridiculous concepts.